At the end of day, banks and credit card issuers are businesses. As such, one of their primary aims is to make a profit. Part of the way these companies make money, of course, is through fees. Many people think that credit cards are bad because they get you into debt and can cost you money. 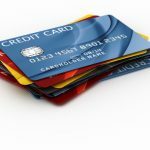 Although both can be true if you use credit cards unwisely, credit cards can also serve as a powerful tool for increasing your purchasing power and providing you an extra layer of protection. Your goal should be to reap the benefits of credit cards without paying more than you need. To do so, it’s important to know the terms that come with your credit card, especially the fees associated with it. 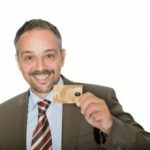 With so many credit cards on the market that have no annual fee, you may wonder why anyone would intentionally sign up for a card that carries one. One reason is because those cards tend to offer more generous rewards. Take, for example, the Chase Sapphire Reserve Card, which has an annual fee of $450. But it comes with an annual travel credit of $300 and many other travel perks. These include trip cancellation insurance and complimentary airport lounge access. If you decide that a credit card is worth its annual fee, all you have to do is plan for that expense each year. You can either save for it on a monthly basis or set the money aside in a separate account when you run into extra cash. Foreign transaction fees are applied by your credit card issuer when you make a purchase outside of the United States. On my Wells Fargo Cash Back Card, the foreign transaction fee is 3%. This is pretty standard. One way to avoid foreign transaction fees is to use cash. You can convert U.S. dollars into foreign currency before you leave the country. You can also use an ATM once you get to your travel destination.That way, you’ll pay a one-time flat fee rather than an ongoing percentage of your purchases. If you’d feel more comfortable using a credit card abroad, there are plenty of credit cards that have no foreign transaction fees. To name a few: the Chase Sapphire Preferred Card, Capital One Venture Rewards Card, and BankAmericard Travel Rewards Card. Banks like PenFed have started issuing a revolving fee for customers receiving paper statements. For banks and credit card issuers, it’s a way cut costs. Although small, this fee is simple to avoid. Simply opt for electronic statements instead. If you ever find the need to print a copy of one of your statements, you can do so from your home or office. A balance transfer moves your account balance from one credit card to another. This is often done to reduce or eliminate the interest on a debt. By transferring your balance on a high-interest credit card to a card with a lower interest rate (or promotional interest rate of 0%), you can save a lot of money. It can also allow you to pay off your debt faster. That’s one reason we track the latest 0% balance transfer offers. The only downside is that balance transfers come with a fee — often 3% to 4%. You’ll have to do the math to figure out if the fee is worth the transfer. Depending on your interest rates, it probably will be. A cash advance fee is charged when you borrow cash against your credit card. Typically, a cash advance fee is between 2% and 5% of the amount you withdraw. An advance comes with additional costs as well. The amount you withdraw will start to accrue interest from the date of withdrawal. Also, the interest rate for cash advances is often higher than that of normal credit card purchases. It’s best to avoid taking out a cash advance if at all possible. Consider pulling the money out of your savings instead. If the amount you need is really high, withdrawing from your checking account and getting hit with an overdraft fee may even be cheaper than a cash advance fee. A late payment fee is assessed when you fail to make a payment on your credit card bill by the due date. According to the CARD Act, late payment fees must not exceed the minimum payment due. Typically the fee is $25 or $35. The best way to avoid paying a late payment fee is to always pay your credit card bill on time. I have automatic payments set up, so I don’t even have to think about it. On the due date, my last statement’s balance is automatically transferred from my checking account to pay my credit card bill. In addition, I also have a monthly reminder on my calendar to check that the bill’s been paid on time. If you don’t pay your entire balance in full each month (although that’s highly recommended), at least pay the minimum payment due. That way, you can avoid the late payment fee. 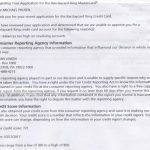 The good news is that most of the credit card fees out there can be avoided. Others, such as the annual fee and balance transfer fee, can often be worth paying for. By law, you are entitled to know all fees associated with your credit card, as well as how those fees are calculated. You can find most of this information directly on your monthly statement. If anything is unclear to you, don’t hesitate to call up your credit card issuer and ask questions. It’s your right as a consumer.